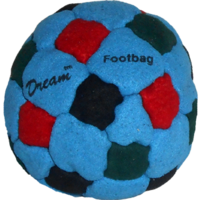 The Dream footbag does just what the name promises, it plays like a DREAM. 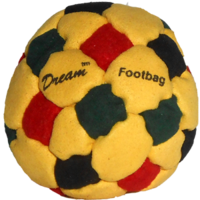 Another Flying Clipper original, this design will propel your pleasure for multi-facet hacky sacks to new heights of reverie. Handsewn using our state of the art synthetic suede fabric, the patterns of truncated hexagons, octagons and squares keep this one round no matter how soft it gets. 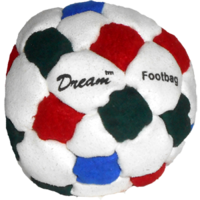 To wake up your Dream, play. 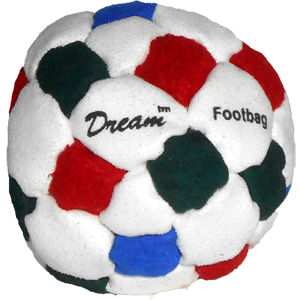 To wake up your game, Dream. 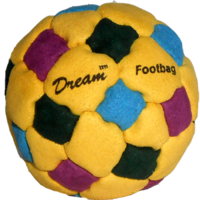 The dream is another very well rounded footbag with good pop, stays nice and round, is nice to look at while kicking, and has a unique attractive design.